Tokyo, Japan - May 11, 2015: Fresh Tuna main cut by professional Japanese tuna handlers at Tsukiji fish and seafood market, right after the Tuna auction. 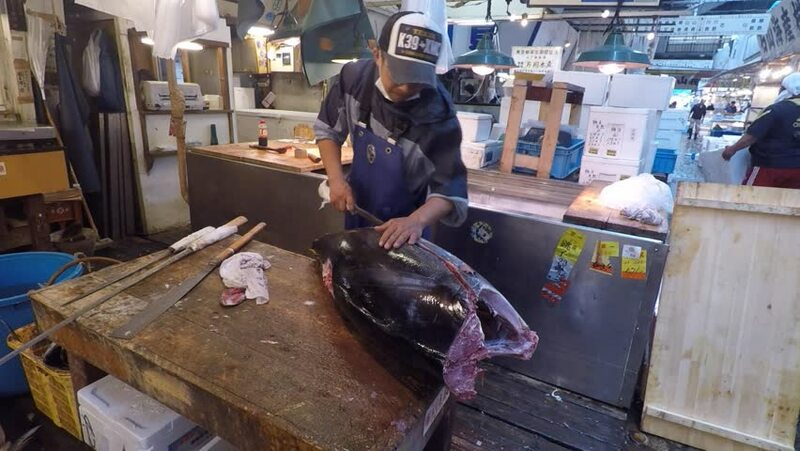 4k00:54Tokyo, Japan - May 14, 2015: Fresh Tuna main cut by professional Japanese tuna handler at famous Tsukiji fish and seafood market, right after the Tuna auction. 4k00:26Tokyo, Japan - May 11, 2015: Fresh Tuna main cut by professional Japanese tuna handlers at Tsukiji fish and seafood market, right after the Tuna auction. 4k00:23Ivano-Frankovsk, Ukraine - May 8:Unknown people on the national kuznketsov Festival on the Castle Bastion Square in Ivano-Frankovsk, May 8, 2016, Ivano-Frankovsk, Ukraine. hd00:11Dalat, Vietnam. CIRCA May 2017. Two vietnamese woman, wearing conical hat, are selling vegetables and fruits on a street in Dalat City. 4k00:16Mandalay, Myanmar - December 2015: Making bronze Buddha in worshop Mandalay, Myanmar. hd00:13Security camera captures the moment a local store is robbed by a man in hooded clothing. Robber attacks small business and attempts to steal money from the cash register.